Royalty runs in this young stud’s bloodlines. 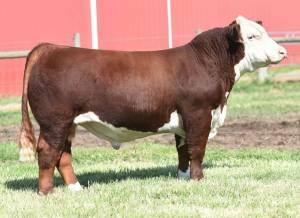 Who Maker on the dam side Ribeye 88X on the sire. Prime Cut has style, length of spine and flawless structure. Being super sound with a large foot and having a easy moving gate, makes him easy to look at from any angle. Impressive individual outside of or in the showring. His dam was crowned Champion Hereford many times and cracked the Top 5 Overall breeds numerous times for Josie Kane. Prime Cut was Supreme Overall at the 2018 Michigan State Fair Junior Show, Champion Hereford Bull in the Open Show, and Senior Calf Champion at the 2018 World Beef Expo. 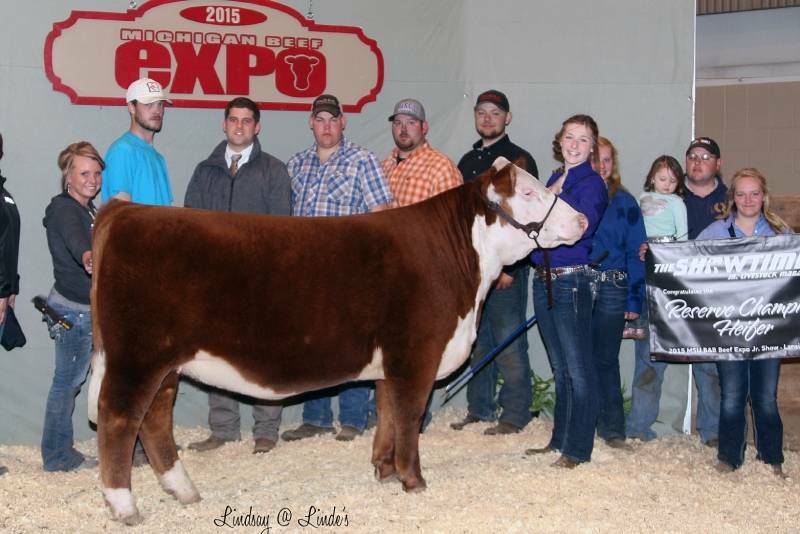 Put some royalty in your calf crop!